Compare 12-month car insurance policies that you can update once you pass your driving test. The Driver and Vehicle Standards Agency (DVSA) states no minimum or maximum number of hours of professional tuition are needed before you can take your driving test. However, you should proceed with caution and book your test when you believe you are ready. 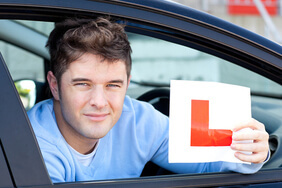 From June 2018, learner drivers’ lessons can involve motorway driving. Any motorway lessons will be voluntary, and it will be up to the driving instructor to decide whether their learner driver is ready for them. There will also be additional elements to the new driving test, including extended independent driving time and following directions from a sat nav. These new elements may involve additional hours of practice. Most professional driving schools will include insurance in the cost of their lessons, but if you can get additional practice with a friend or family member, it can really help speed up the process of learning to drive. If you're practicing in your own car, or a friend or relative's car, you’re going to need a learner driver insurance policy. This can be a full 12-month policy, starting on your provisional licence and updating when you pass your test. Or you can get a temporary/short-term policy, designed to cover you specifically while you're learning. Insurance companies base the premiums they charge on how much of a risk they believe a person – and the car they drive – to be. So there’s little wonder that learner drivers often struggle to find competitive insurance premiums. You'll also pay different premiums based on the level of cover you choose, which you can read more about in our guide to the car insurance policy types. Confused.com can help you find great prices for both regular, 12-month policies and short-term learner driver cover. Use 'Compare quotes' above to start comparing full policies. Or use the ‘Quote short-term’ button to visit our partner, Veygo, for a provisional licence insurance quote. If you're still looking into learning to drive, you can find information to help you with the steps involved in our guide - Learning to drive. A standard learner driver car insurance policy compared through Confused.com runs for a full 12 month period, during which you can learn to drive and pass your test, at which point it becomes a standard insurance policy (once you've let your insurer know you've passed your test). Just select UK provisional when telling us your licence type during the quote process to get prices for you as a learner driver. We compare prices from top insurance providers across the UK, and you can sort your results based on what’s most important to you, whether that’s the price, who provides the insurance, or the policy benefits. Clicking on 'Get a car quote' at the top of the page uses Confused.com to compare prices on full length policies from lots of different insurance providers offering cover for learner car insurance. We also compare quotes from providers of telematics policies, which involve fitting a small black box to your car to monitor your driving habits. These policies are designed for younger drivers and can work out a cheaper way to get insured. You can visit our telematics explained page for more information on how these policies work, or find the policies available to you on the policy prices page once you’ve run a quote (just look out for those policies listed as 'black box insurance'). 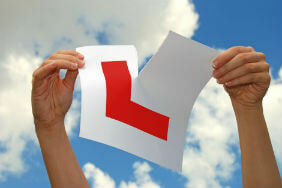 You can add learner driver insurance onto any main car insurance policy, it doesn’t need to be with Veygo or Admiral. Car owner’s no-claims bonus won’t be affected if you need to make a claim. Instant cover – enter the car registration, postcode of where it’s kept and your relationship to the owner to get your quote. Cover can start immediately. No curfew – you can drive day and night to make sure you get in all the practice you need before your test. Comprehensive insurance provided by Admiral, voted by consumers as the UK’s best car insurance provider four years running (Personal Finance Awards). 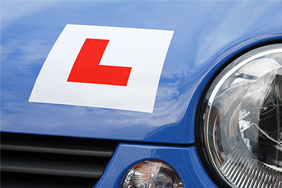 Short term learner driver insurance is arranged and administered by EUI Limited (trading as Veygo by Admiral), who are authorised and regulated by the Financial Conduct Authority. Registered office; Ty Admiral, David Street, Cardiff, CF10 2EH. Registered in England and Wales, No 2686904. Our service is free and provided by Veygo. We are an intermediary and we receive commission from Veygo, which is based on a percentage of the premium if you decide to purchase through our website.